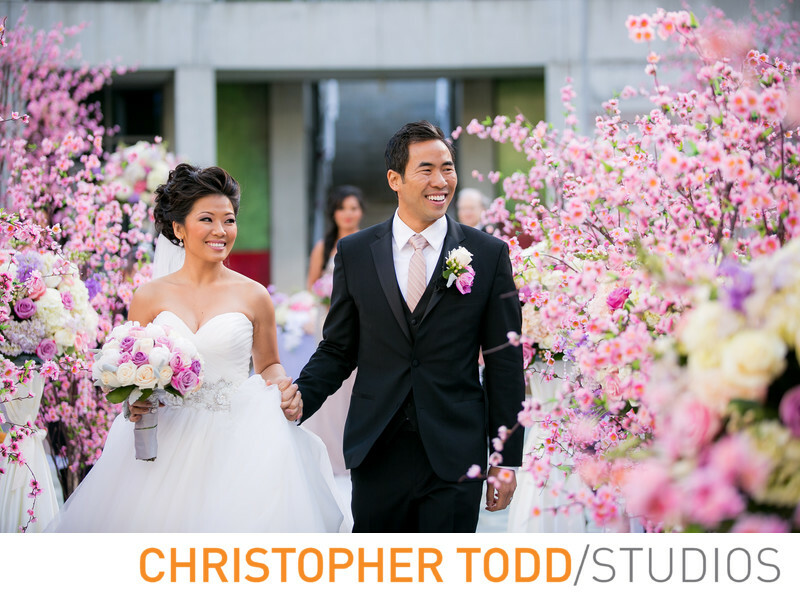 Skirball Cultural Center is one of Los Angeles' best kept secrets for hosting a wedding. Photographers like myself cannot get over how beautiful the landscape and architecture is. This is a magnificent place to have your wedding celebration. 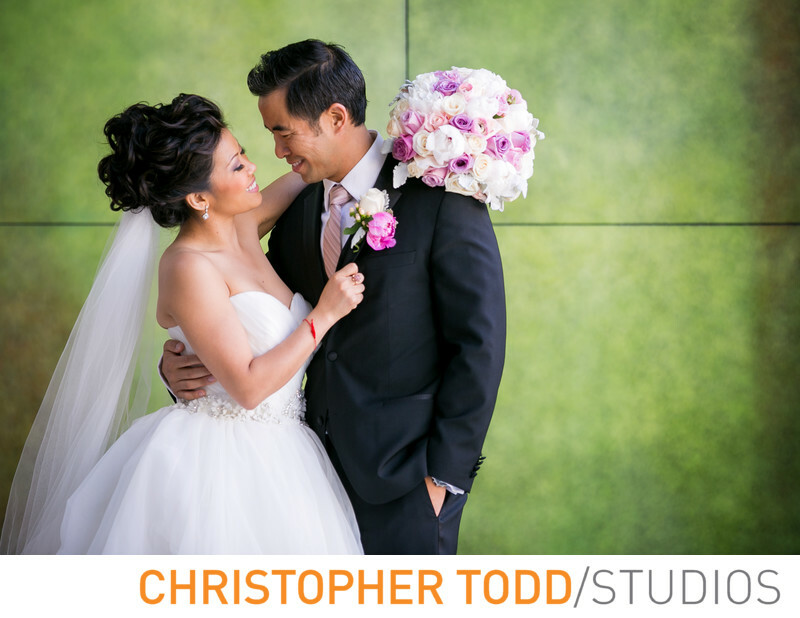 It has been an LA event destination for years. Nestled in the Santa Monica Mountains, the Skirball Cultural Center offers a unique venue in a distinctive architectural setting—offering more than 60,000 square feet of remarkable event space.You will love all that the Skirball has to offer including serene garden patios for your ceremony, spacious courtyards for the cocktail hour, and majestic ballrooms that perfectly accomodate your wedding guests for a reception. 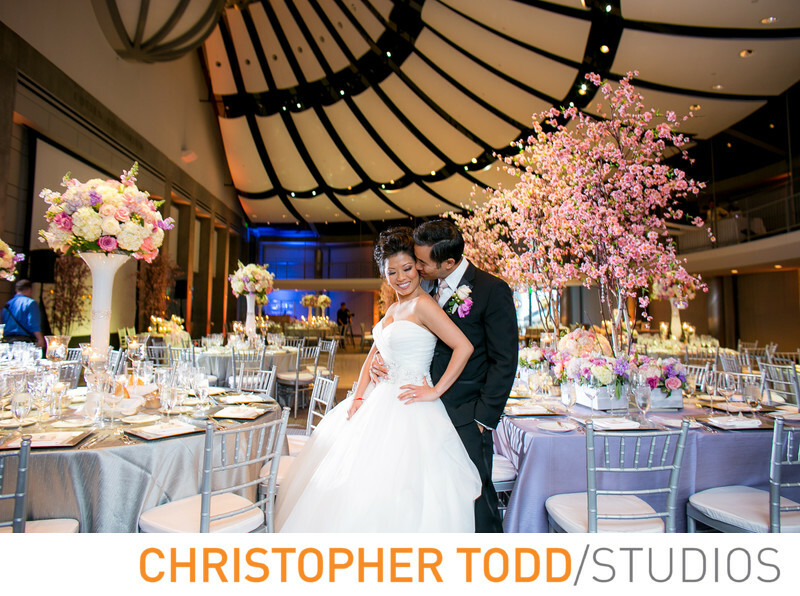 The Skirball Cultural Center is LA's most popular, award-winning destination for weddings, bar/bat mitzvahs, proms, graduations, and other milestones. The Skirball’s in-house team of culinary professionals offers a spectrum of exquisite dining options. In collaboration with you, executive chef Sean Sheridan will design a custom gourmet menu representing diverse cuisines for any occasion—whether an elegant black-tie feast or a delicious, healthy buffet for a company meeting. This Courtyard features a picture-perfect reflecting pool in which water lilies bloom year round. Whether attending a wedding or graduation, concert or conference, guests take in breathtaking views of the distinctive architecture and natural surroundings. With its one-of-a-kind ceiling and clear sightlines from any seat in the room, the Cotsen Auditorium is a favorite for weddings and special events. Glass doors open to the Guerin Courtyard, providing seamless indoor/outdoor flow for your guests. Breathtaking views of the hillside located directly adjacent to the Cotsen Auditorium (Ahmanson Ballroom), this lovely courtyard is ideal for your cocktail hour, or even an intimate wedding prior to a grand reception inside the ballroom. M.A.C. Make-up Art Cosmetics, Inc.